Chronalogical list of the most significant companions. If you feel we have missed an important companion from the list, let us know. Ace was played by Sophie Aldred. Ace is a tough streetwise teenager, whose real name is Dorothy, and she has a tendency to blow things up with nirto9, her homemade explosives. Ace was the companion of Sylvester McCoy's Doctor. Ace was played by Matthew Waterhouse. 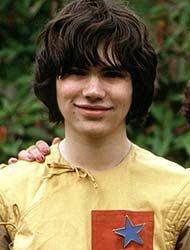 Adric was a mathematical genius from the planet Alzarius who stows aboard the TARDIS. Adric has one of the best death scenes in Dr Who, where he tries (and fails) to stop a spaceship crashing into Earth, never knowing that the explosion was responsible for wiping out the dinosaurs. Adric travelled with Tom Baker's Doctor and Peter Davison's Doctor. Amy Pond was played by Karen Gillan. Amy was a witty feisty girl that was just a little stubborn.Amy had a difficult childhood after crack appeared in her bedroom wall and comsumed her world and her parents. Amy eventually marries Rory Williams.Amy first meets the Doctor as a young child when the TARDIS crash lands in her garden and waited for him to return for 14 years, calling him the "Raggedy Doctor". Amy travelled with Matt Smith's Doctor. Astrid Peth was played by Kylie Minoque in the Christmas Special "Voyage of the Damed". Astrid was a waitress on a pleasure starship owned by Max Capricorn, who sabotages his own ship. Astrid is a brave companion that dies with honour. Barbara Wright was played by Jacqueline Hill. Barbara was a history teacher at Coal Hill School in London Barbara was one of the Doctors first companions. Barbara's most famous episode was when she was mistaken for an Aztec goddess and tries to use her position to stop human sacrifice. Barbara travelled with William Hartnell's Doctor. 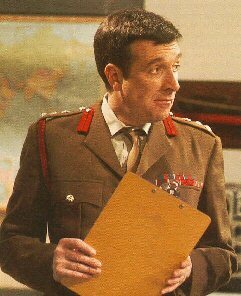 Nicholas Courtney played Brigadier Lethbridge-Stewart and appeared with the Doctor on numerous occasions as the head of UNIT. The Brigadier has been one of the greatest allies the Doctor has had, although the two have sometimes not always seen eye-to-eye! The pair first meet in "The Web of Fear" where Lethbridge-Stewart is a colonel and they combat Yetti monsters controlled by the Great Intelligence. Lady Christina de Souza was played by Michelle Ryan in the Christmas special "Planet of the Dead". Christina was an aristocat who steals precious artefacts. During an escape from a burglary she enters a London bus which travels through a wormhole to the sand planet San Helios. It is Christina's skills that aid the Doctor save the day. At the end of the episode, Christina wanted to travel with Doctor in the TARDIS, but the Doctor refused. Clara Oswald was played by Jenna-Louise Coleman. For a long time Clara was an enigma, an impossible girl that appears at different times and locations in the Doctor's timeline. Clara is sassy, smart and a helpful companion, although the Doctor often found her maddening and intriguing in equal measures. The impossible girl plot involved Clara jumping into the Doctor's timeline at Trenzalore in order to save him in every regeneration. Clara travelled with both Matt Smith's Doctor and Peter Capaldi's Doctor. 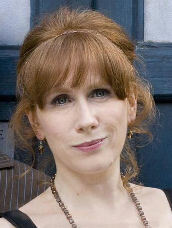 Catherine Tate played Donna Noble with David Tennant's Doctor. Donna was a feisty and bad tempered companion that was never afraid to speak her mind. Donna first meets the Doctor when she trasported inside the TARDIS in the "Runaway Bride" Christmas special. Donna initially declines the Doctor's invitation to travel with him, but soon changes her mind. 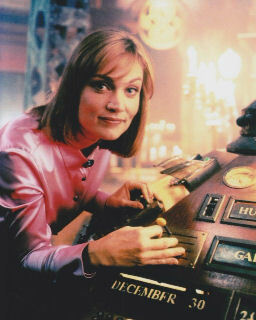 Grace Holloway was played by Daphne Ashbrook in the made for televison American special "Doctor Who" with Paul McGann's doctor. 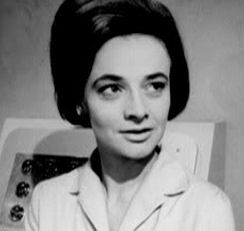 Grace Holloway was a witty and intelligent heart surgeon who helped the Doctor to defeat the Master after he had opened the Eye of Harmony (the power source of the TARDIS). Grace decided that, although she had become close to the Doctor, she would not travel with him. 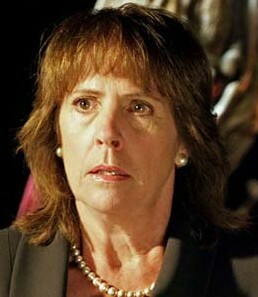 Harriet Jones was played by Penelope Wilton. Harriet Jones is a formidable MP would works with David Tennant's Doctor to defeat aliens and is rewarded by the people of the UK by becomng Prime Minister. However, the Doctor brings about her political downfall as punishment for her decision to destroy the retreating Sycorax spaceship. Harriet was a very brave lady that used her sub-wave network to bring the Doctor to save the Earth knowing that the Daleks would trace the signal back and exterminate her. 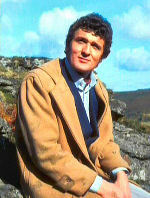 Harry Sullivan was played by Ian Marter. Harry was an old fashioned medical officer at UNIT that appears a little too clumsy for a medical doctor. Harry encounters some of the real classic Doctor Who enemies, such as the Sontarans, the Cybermen and he even witnesses the birth of the Daleks. Harry Sullivan traveled with Tom Baker's Doctor. 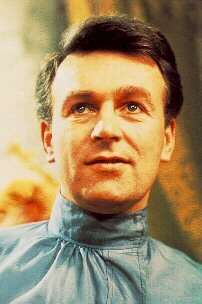 Ian Chesterton was played by William Russell in the television series and by Roy Castle in a feature film. Ian Chesterton was a teacher like Barbara Wright and similarly stubbled upon the TARDIS. Ian is a honest, loyal and practical man and was certainly not afraid to stand up to the Doctor.A highlight from Ian's travels with the Doctor was when he was knighted by King Richard the Lionheart. Ian travelled with William Hartnell's Doctor. 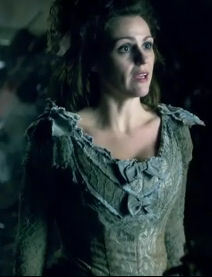 Idris was played by Suranne Jones and was a patchwork human that the house used to put the TARDIS matrix inside. Although temporary, Idris's death enabled the Matt Smith's Doctor and the TARDIS to talk to one another for the first time, The episode was "The Doctors Wife" and represented the Doctor finally meeting the best companion he has ever known, the TARDIS. 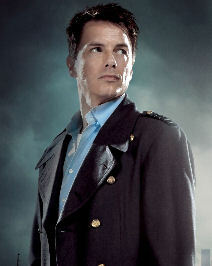 Captain Jack Harkness was played by John Barrowman. Jack was originally a time agent manipulating history to remove problems and keep humans unaware of advanced alien technology. Jack meets the Doctor in the midst of world war 2 in London. Jack is a flirtatious individual who eventually joins Torchwood to protect the British from extra-terrestrial threats. Jack is an immortal and will love for billions of years. His immortality was given to him by the power of the TARDIS's time vortex. 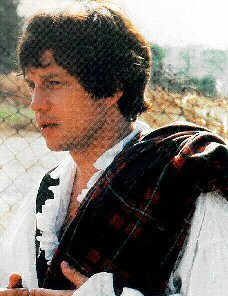 Jamie McCrimmon was played by Frazer Hines. Jamie met the Doctor at end of the battle of Culloen in 1746. Jamie is not the brightest of the Doctor's companions but he is very brave and loyal. Unfortunately for Jamie, when the Timelords put the Doctor on trial his mind was wiped so that we could only remember his first adventure with the Doctor. Jamie travelled with Patrick Troughton's Doctor. Jenny was played by Georgia Moffett. Jenny is a soldier that was created from the Doctor's DNA to fight the Hath on Planet Messaline. Jenny is the Doctor's daughter and Jenny and her father do not bond easily as her natural instinct is to fight, whereas the Doctor wants peace. Jenny takes a bullet for the Doctor and dies in his arms, what the Doctor does not know at the time was that Jenny can regenerate, which she does and leaves the planet to explore the universe. Jenny encountered David Tennant's Doctor. Jo Grant was played by Katy Manning. Jo was a loveable scatterbrain that managed to get herself a got at UNIT as the Doctor's assistant. At first the Doctor is horrified, but later becomes very fond of Jo. Jo is good at escapology and picking locks. Jo leaves the Doctor after falling in love with Clifford Jones, a professor that wants to end world hunger. K9 was voiced by John Leeson and appeared in episodes with Tom Baker's Doctor as well two spin-off series, K9 and Company and The Sarah Jane Adventures. K9 is an advanced super-computer robot dog with an endearing personality. 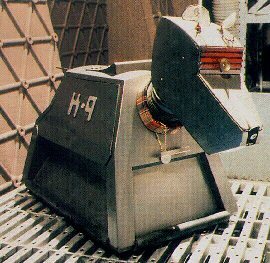 The original K9 was built in the year 5000 by Professor Marius who gave him as a gift to the Doctor. The Doctor built four versions of K9 and gave two away to Sarah Jane Smith. The Mk 1 version stayed on Gallifrey with the Doctor's companion Leela, while Mk 2 was given as a gift to Romana, finally Mk 3 and Mk 4 went to Sarah Jane Smith. 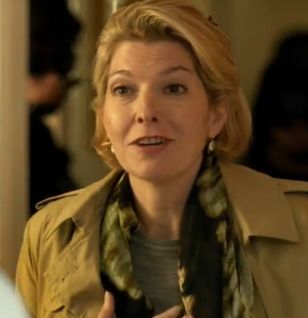 Kate Stewart, played by Beverley Cressman,is th daughter of Brigadier Lethbridge-Stewart and is head of UNITas well as being a scientist (a rather usual combination). Kate first meets David Tennant's Doctor when there is an invasion of cubes across the world and is delighted to meet her father's old friend. Kate works with David Tennant's Doctor and Matt Smith's Doctor. Lady Christina de Souza was played by Michelle Ryan in the Christmas special "Planet of the Dead" with David Tennant. Christina was an aristocat who steals precious artefacts. During an escape from a burglary she enters a London bus which travels through a wormhole to the sand planet San Helios. At the end of the episode, Christina wanted to travel with Doctor in the TARDIS, but the Doctor refused. Leela, played by Louise Jameson , was a leather bikini costumed warrior from a tribe of humans left on an alien world that slowly regressed back to savagery. Although uneducated and ignorant of science and technology, Leela is bright and brave with an inquisitive nature. Leela is a creature of instinct and can often tell if danger is nearby, she is also very familiar with death and weapons including knives, crossbows and deadly darts called Janis thorns. Leela travelled with Tom Baker's Doctor. 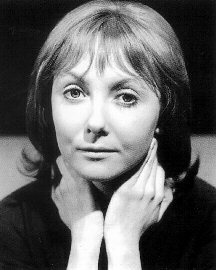 Liz Shaw, played by Caroline John , was a distinguished scientist drafted in by the Brigadier to become UNIT's scientific advisor. However, with the Doctor's exile to Earth, Liz became the assistant to the Doctor with the Doctor as UNIT's scientific advisor. Liz was a resouceful and intelligent companion with degrees in various subjects. She eventually decides to leave UNIT and return to her own research at Cambridge University. Liz Shaw travelled with Jon Pertwee's Doctor. 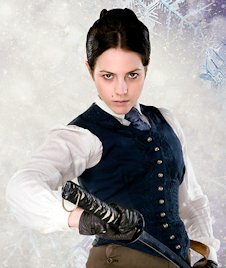 Liz Shaw, played by Neve McIntosh,was a Silurian warrior who lives in Victorian London with her human wife Jenny Flint . 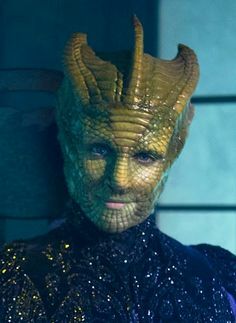 Madame Vastra is a skilled swordfighter and uses her supior intelligence to work for Scotland Yard where she helps them to crack cases, hunts down criminals and eats them for dinner. The Doctor and Madame Vastra are old friends. 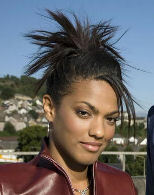 Martha Jones , played by Freema Agyeman,and was a medical student when she first encountered the Doctor where she saved his life from a blood sucking alien, a Plasmavore. Martha fought against a range of the Doctors most deadly enemies. After leaving the Doctor, Martha made a career in UNIT as a fully qualified doctor. She marries Micky Smith and becomes a freelance alien hunter. Melanie Bush, or Mel, was played by Bonnie Langford,as a young computer expert who loves travelling with the Doctor. Mel is always full of energy and very health aware fitness fanatic. She has a natural curiosity which frequently gets her into difficulties. Mel travels with both Colin Baker's Doctor and Sylvester McCoy's Doctor. An alien the meets Peter Capaldi's Doctor and travels with him, usually moaning and keeping an eye on him. Nyssa was played by Sarah Sutton, Tom Baker's Doctor first meets Nyssa on Traken, a peacful world under attack by the Master. Nyssa was the gentle daughter of a Traken scientist called Tremus who is unfortunately killed by the Master. Nyssa continues to travel with the Peter Davison's Doctor until she chooses to stay on Terminus and use her scientific skills to develop a cure for Lazar's disease. Disappointed that the scriptwriters wrote this new companion to be so openly gay as a social statement, unlike the previous Clara Oswald where this was always a "maybe" she is bisexual. It feels a little like changing the doctor so that he carries a gun and shoots people. A pity, becuase apart from the social engineering she's a good companion. Peri was played by Nicola Bryant and was a personal favourite of mine. Peri was an American student who was saved from drowning. 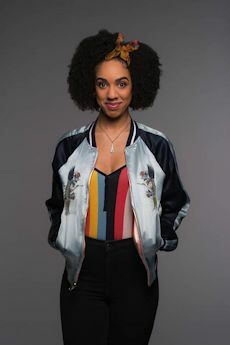 Peri is adventurous and happily accepted the Doctor's inviation to travel with him.Peri travelled with Patrick Troughton's Doctor, Peter Davison's Doctor and Colin Baker's Doctor. River Song was played by Alex Kingston. River Song is first encountered in the episode where she dies and during the course of the following episodes she lives her life backwards to the Doctor and to keep track of events she creates a diary. River Song is a time traveller with an interest in archaeology. River Song is the daughter of Amy Pond and Rory Williams and was designed by the Silence to be a weapon to destroy the Doctor. The Doctor ends up marrying River Song. River Song appears with David Tennant's Doctor and Matt Smith's Doctor. 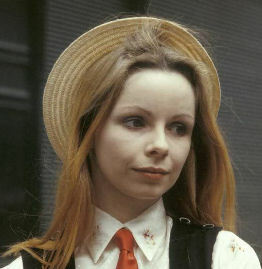 Romana was a female Time Lady and she appeared as two different regenerations, the first played by Mary Tamm and the second played by Lalla ward. 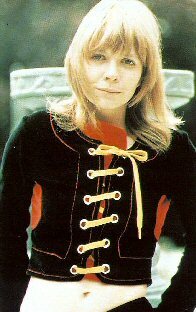 Romana's full name is Romanadvoratrelundar and she was sent by the White Guardian to help the Doctor assemble the Time to Time. Initially, there is much friction between the two of them but they soon settle down into a great team, especially when she regenerates into a more playful version. Romana leaves the Doctor to help a race called the Tharils in e-space. Romana travelled with Tom Baker's Doctor. 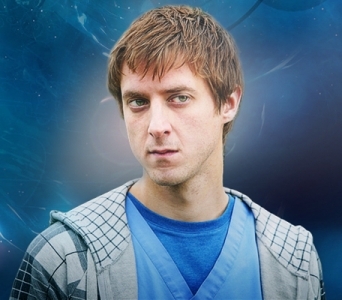 Rory Williams was played by Arthur Darvill as was the long suffering partner of Amy Pond. Rory was a rather timid and sensitive but as his confidence grew he became an adventurer. Rory's travels with Matt Smith's Doctor come to a sad end when he is zapped back in time by a weeping angel. Rose Tyler was played by Billie Piper as chav shop girl. Rose joined the Doctor after she helped him to defeat the Nestene Consciousness and over time she grows very close to him. Rose is most famous for destroying a Dalek fleet using the power of the TARDIS to access the time vortex, a feat you'd think the Daleks might have thought of as they were also masters of time! Rose travelled with Christopher Eccleston's Doctor and David Tennant's Doctor. 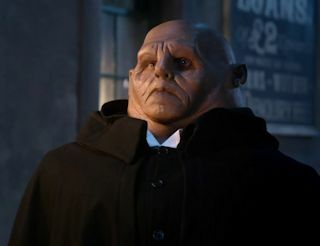 Strax is played by Dan Starkey and is a Sontaran commander that is punished by being forced to be a nurse. He joins Madame Vastra and Jenny Flint to form the Paternoster gang in Victorian London. 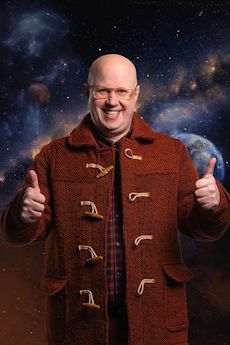 Strax has worked with both Matt Smith's Doctor and Peter Capaldi's Doctor. Susan Foreman was played by Carole Ann Ford and was the Doctor's first travelling companion and was also a Time Lady so although she appeared as a teenager and went to Coal Hill School she was in fact considerably older than she appeared. Susan works with William Hartnell's Doctor. The TARDIS is the Doctor's home and has been the Doctor's constant companion for the majority of his many lives. The TARDIS allows the Doctor to travel anywhere in space and time. In Time Lord terms the TARDIS the Doctor uses is an antique but after the last great time war, the Doctor's TARDIS is probably the last in existance (note probably, who knows maybe the Master still has his TARDIS somewhere!). The TARDIS has a living mind and their is a special relationship between the TARDIS and the Doctor. 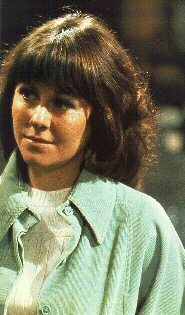 Tegan Jovanka was played by Janet Fielding as a brash and bossy air stewardess and travelled with both Tom Baker's Doctor and Peter Davison's Doctor, witnessing the regeneration between them. Tegan is a rather "mouthy" companion and indeed once described herself as "just a mouth on legs" Although Tegan fights a range of enemies such as the Sea Devils and the Silurians, but it is her encounter with the Daleks that convinces Tegan that it is time to leave the Doctor. 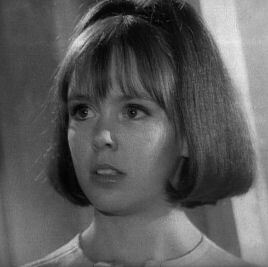 Vicki was played by Maureen O'Brien as a young teenager whom the Doctor meets on the planet Dido where she was desperately waiting for a rescue after her ship crash landed on the planet. After joining the Doctor she meets some very interesting characters from history, for example Emperor Nero and King Richard the Lionheart.Vicki travelled with William Hartnell's Doctor. 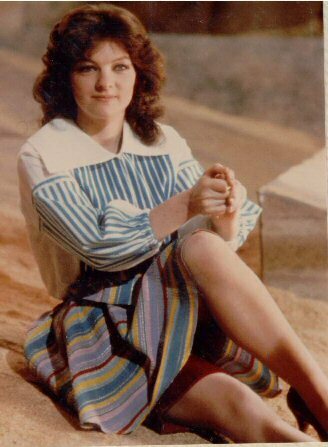 Victoria Waterfield was played by Deborah Watling as a young girl from Earth in 1866. Victoria was orphaned when her father was killed by the Daleks. The Doctor takes her with him and Victoria overcomes her initial timidity to stand up to a range of enemies including two encounters with the Yetis and the great intelligence.Victoria travelled with Patrick Troughton's Doctor. 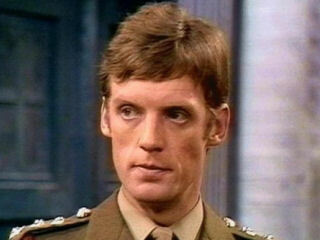 Vislor Turlough was played by Mark Strickson as an alien from the planet Trion where he was exiled. He ends up at an English public school on Earth where he was recruited by the black guardian to destroy the Doctor. 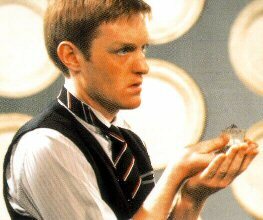 Vislor Turlough was regarded as a shifty and untrustworthy individual but does eventually gain the Doctor's trust. Turlough travelled with Peter Davison's Doctor. Zoe Heriot was played by Wendy Padbury as a brilliant astrophysicist who meets the Doctor during a Cyberman attack. After helping the Doctor to defeat the cybermen she joins the TARDIS crew and soon realises that there is more to life than logic and mathematics. In addition to the Cybermen, Zoe meets the Krotons and the Ice Warriors before she is forced to leave the Doctor by the Time Lords.Zoe travelled with Patrick Trouhgton's Doctor.